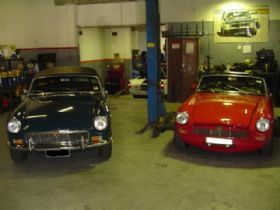 Peninsula Sports Car Services was started in 2001 to provide a range of services for owners of all British cars, specialising in MG and recently branching out to include Mazda MX5. We provide everything from minor services through to a full rebuild and whatever a customer wants we can deliver. Our business philosophy is we believe in improving on the breed by enhancing the roadholding, performance and owners experience with their car. 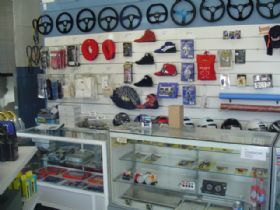 Upstairs is an expansive retail showroom marketing spare parts, racing gear and accessories. We carry in stock many aftermarket parts ranging from steering wheels to custom petrol tanks and sell both new and used spare parts. 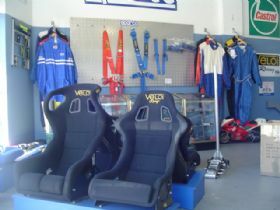 We also carry a large range of individual race gear including racing suits, gloves, boots, harnesses, seats etc. Outside we offer select customer cars on consignment. 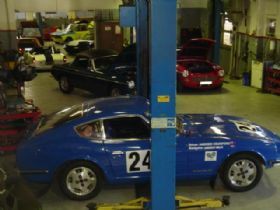 We have a large workshop that caters to enthusiasts and gives us the room to house six hoists with ample space for customers cars. We have six fully trained, competent and courteous staff that collectively have well over one hundred years experience between them. 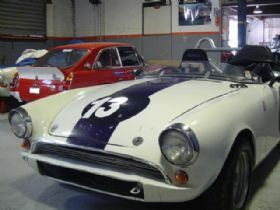 The workshop handles all regular servicing for street driven classics and specialises in race car preparation for both historic and modern vehicles. 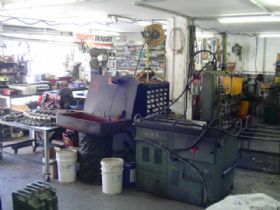 We have the experience, knowledge and skill to work on all mechanical components including engine, transmission, differential, clutch, brakes and exhaust. We can fabricate anything required in house as well including roll bars and the fitting or modifying of any upgraded parts. We have an in house engine shop that can recondition your current engine to factory specifications or prepare it for racing purposes. Based on a customer specification we can undertake any job with our full machine shop whilst providing the highest level of quality control. To assist with tuning capabilities and understand improvements made to customers cars we have a chassis dynometer in house. All electrical work is carried out on site and we can provide a range of parts for enthusiasts who may want to tackle the project themselves. 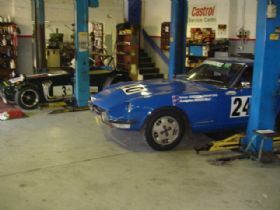 We also provide wheel balancing and wheel alignment along with registration inspections. We are members of the MG Car Club, Historic Sports & Racing Car Association (HSRCA) and take an active role and interest in historic racing. 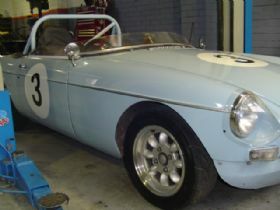 We sponsor the Group S Trophy Series in historic racing and campaign an MGB, Alpine and Sunbeam Tiger. 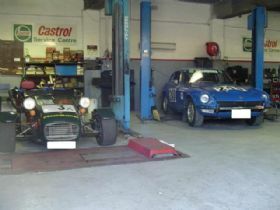 We have prepared cars for Targa Tasmania and classic rallies. A lot of our customers are involved in regularity events and we take pride in maintaining and enhancing their cars for competition purposes. 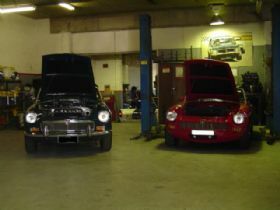 If you have been looking for someone and our details listed above appeal to you give us a call or drop by the workshop to discuss your requirements. Our hours are 7.30 5.00 Monday to Friday and 7.30 12.00 Saturday if we are not racing.